Dr. Abbaraju received Doctorate in Dental Medicine (2011) from Boston University Goldman School of Dental Medicine, Boston, MA. He earned his Bachelors of Dental Surgery (1999) from GDCH, Hyderabad, India. Dr. Abbaraju also has a Masters degree in Computer Science (2004) from Wichita State University, KS. He is an active member of American Dental Association (ADA), Academy of General Dentistry (AGD) and International Dental Implant Association. He is due to receive fellowship honors (FAGD) in Academy of General Dentistry in 2018. He has been serving in the United States Army Reserves as a captain and dental officer since 2013. He is active in the local community and volunteers to provide free dental services to veterans, MOM, GKAS as needed. 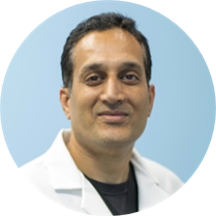 Dr. Abbaraju enjoys integrating and utilizing state of the art technology in his office to provide excellent quality care and comfort to help the patients. He strongly believes that oral health has a direct impact on general health and quality of life. He continues to take advanced training and education to enhance his skills and knowledge in dentistry. As a dedicated husband and father of two girls, Dr. Abbaraju has other interests outside of Dentistry. He enjoys running, tennis, volleyball, hiking and traveling. Dr. Sravan Abbaraju, DMD has no appointments on Zocdoc right now.